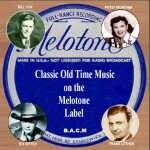 A mix of 'Yodeling & guitar' (10 songs) and Square-dance instrumentals (11) from the early 1930s. 20 historic recordings, mainly just Bill singing solo with guitar, bluesy numbers many in the style of Jimmie Rodgers; see also recordings with Brother Cliff (the Carlisles, BACM 167). 26 tracks, many of them not previously issued on CD from Cox, one of the best of the white country blues singers from the late ‘20s/early ‘30s era. An accomplished yodeller in the Jimmie Rodgers style he was also a solid guitarist and could play fine bluesy harmonica. Several tracks feature him duetting with singer/ guitarist Cliff Hobbs. A second compilation, classic country tracks from 1935 to 1940 from trail-blazing honky-tonk singer Buddy Jones who developed his own style, influenced by his idol Jimmie Rodgers but edging towards hard-driving western swing. Session men include electric mandolin pioneer Leo Raley and rising piano star Moon Mullican. A couple of early duets with Jimmie Davis. Believed to be the first Aussie to record country in Australia - that was in 1938, three years after the debut of fellow antipodean, New Zealander Tex Morton, Williams had escaped from an unhappy foster home to go on the road, eking a living from laboring and busking. He loved the recordings of Jimmie Rodgers, his early model for his guitar style and yodeling. Here is a selection of 22 of his recordings, a wide range of styles including the Victorian era recitation "The face on the barroom floor" later recorded by Hank Snow. 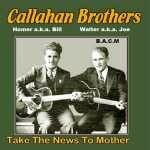 BACM’s first Callahan Brothers collection focuses mainly on their 1930s recordings, featuring their close harmony ‘White country yodelling-blues’ style. Songs a mix of old time country and Jimmie Rodgers numbers (several of the latter are adapted and retitled, for example Rodgers’ Mississippi Moon becomes North Carolina Moon and Blue Yodel No. 7 becomes I’ve Rode The Southern & The L&N ). Both brothers were accomplished musicians, Walter playing guitar and Homer variously guitar, fiddle and mandolin and on several tracks they are joined by the great Kentucky mandolinist Roy “Shorty” Hobbs. Twenty 1930s recordings from steel guitar master Carlisle in Jimmie Rodgers style - a singer he accompanied on record back in the 1930s. Rare recordings, mostly in the style of the late Jimmie Rodgers. Love's first recordings were as guitarist and sometimes vocalist as a member of J.E. Mainer’s Mountaineers in 1935 (several tracks on BACM CD122 and more here). A distinctive vocalist, guitarist and yodeller. Our first collection from the man often dubbed Canada's "King of the Yodelers". Includes his first American hit single, Texas Yodel. Something special for Elton’s fans and collectors – recordings with various groups cut during his early career. Going back further into the vaults than CD86, this CD contains 20 rare recordings from 1933-37 by this top yodeler, in various guises. 24 1940s recordings from one of the all time great country yodelers accompanied on some by top girl yodeler Rosalie Allen, all from his RCA years. Several classic country songs given the distinctive Britt treatment. Rare recordings from this distinctive singing and yodeling duo, self accompanying on guitar and mandolin. 24 classic Rodgers songs interpreted by a variety of singers recorded from the 1940s to the 1960s. Always refreshing to hear alternative versions of these well known songs. 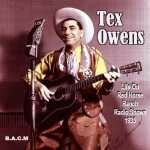 Song writer and steel guitarist, he appeared with Gene Autry for many years as comedian and stunt man. Born in Oklahoma 1904 - Died in 1985 at age 81. Performed on many occasions with older brother Johnny (another talented singer/musician recording artiste - some of Johnny's recordings are showcased on our BACM CD 75). 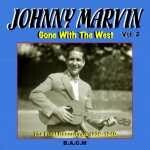 A second collection of Marvin’s recordings, mainly from the late 1920s, including several delightful covers of Jimmie Rodgers songs including Way Up On The Mountain, Treasures Untold and Muleskinner Blues. More early recordings (1929-37) some from his 'Jimmie Rodgers stylist' phase before he became famous as a cowboy singing movie star. 21 songs here from the 1930s by this harmonious sister duo including cowboy songs and yodeling. 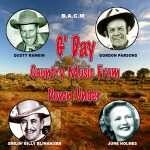 Some fine country music emerged from Australia and New Zealand from the 1930s onwards, much of it influenced by Jimmie Rodgers, Gene Autry, Wilf Carter and English yodeller Harry Torrani. 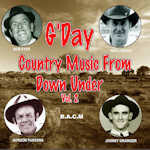 BACM have already issued around ten CDs by some of the best known ‘Down Under’ Artistes, including Tex Morton (BACM CD 101), Buddy Williams (CD 155) and Slim Dusty (CD 60). This latest CD introduces several lesser known artistes, from across the decades and with a wide range of styles. Fans of ‘Yodelling Country’ in particular will enjoy. Our first compilation from this legend of Canadian country, fine singer/songwriter/yodeler. Includes his most popular “Maple Sugar Sweetheart” as well as covers of songs made famous by Jimmie Rodgers, Wilf Carter, Cliff Carlisle and Gene Autry. Thirty late 1940s transcriptions from this obscure but accomplished guitarist and yodeler, some with Hank Holland duetting as "The Dakota Ramblers". Late 1920s/early 30s music from this singer-guitarist joined on some tracks by Riley Puckett and Clayton McMichen. 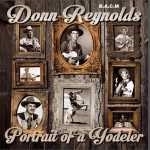 Nice collection of classic old time country songs in authentic style. Strong echoes of his cousin the legendary Jimmie Rodgers with this collection mainly from the ‘30s (most of which are very much in the same style as Jimmie) and a few much later, from the early ‘50s when he was trying for a more pop/crooner sound. Well known as the Governor of Louisiana and composer of one of the most popular country songs of all time ("You are my sunshine"), he in fact made many fine recordings with a variety of accompanists - showcased in this selection of 24 songs recorded between 1929 and 1945, some featuring his Jimmie-Rodgers inspired yodeling. Old time singer-yodeler-guitarist, 23 rare recordings from the 1930s. Great version of "When Jimmie Rodgers said goodbye". Australia has a long tradition of authentic guitar-picking country performers, modelled on their American idols such as Jimmie Rodgers, Gene Autry and Hank Snow and Hank Williams but adding a distinctive ‘Down Under’ touch. 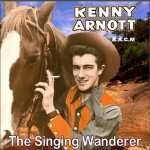 One such is Kenny Arnott who cut his first album in 1954 and who went on to enjoy a career performing the music he loved, on record, on radio and at live shows throughout Australia where he built a devoted following of fans, acquiring the moniker of The Singing Wanderer. His recordings, long out of print, have become collector’s items and BACM are pleased to make this selection available on CD. 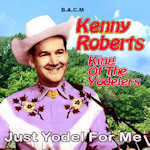 28 recordings by legendary yodeler Kenny Roberts, joined on a couple of tracks by his mentor Elton Britt. He joined the Down Homers in the early 1940s and when called up for National Service was a replaced by a young Bill Haley, helping him develop his (Haley's) own not-inconsiderable yodelling skills (kept well hidden when he went on to Rock & Roll fame a decade later!). This compilation showcases the many facet's of Kenny's music - country ballads, honky-tonk weepers, novelty songs and a couple of gospel numbers; many feature either his falsetto or full blown yodel. As pointed out in Paul Hazell's liner notes, Kenny Roberts deserved far more recognition than he actually received, especially in the later stages of his career. We are glad to now make amends - astonishingly this is his first ever UK album release! Several of Kenny's recordings were featured on BACM's two Down Homers albums, CDs 92 and 381. Superb yodeling and cowgirl-singing abound on this 26 track collection of songs from 1933-1948 by this "Cowboy's Sweetheart". 24 tracks from early in the recording career of one of the great Aussie country stars songwriter, multi instrumentalist, distinctive-voiced singer and yodeler. Our selection includes several Jimmie Rodgers' classics and closes with a powerful take on "There's a love knot in my lariat". Some say his was the best country voice ever with an amazing range from deepest bass to ear piercing yodel; coupled with his cowboy film star status he cut a fine figure and these USA Mercury recordings show off his voice across a nice mixed bag of songs. Great version of Merle Travis' "Petal From A Faded Rose". Queen of the yodelers' with songs in the Singing Cowgirl tradition - a mixed 1940s/50s selection of songs showing off her range. 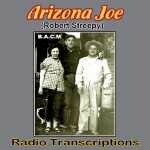 25 songs, mainly 1950s recordings by this top DJ and singer - whose voice and phrasing have similarities with Eddie Arnold and Cowboy Copas; his distinctive yodeling is featured on several tracks..
With more than a hint of Jimmie Rodgers and Wilf Carter, here are 22 of the 1940s and 1950s recordings from this stalwart of many years of Australian Country music. "Australia's No. 1 Cowboy" - with 23 songs all but four written by him and recorded between 1941 and 1953; a real singing cowboy and fine yodeler. This has singer-guitarist Fletcher's complete Decca recordings from 1936/38 several featuring his distinctive "lonesome yodel". New Zealand yodeler/ guitarist, influenced by Jimmie Rodgers, Harry Torrani and Goebel Reeves he had his own distinctive style - well showcased on this 27 song collection from the late 30s/ early '40s. 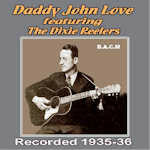 Another treat for collectors of classic hillbilly music, 25 tracks released between 1932 and 1937. Artists ranging from the obscure to the legendary, the latter including Bill Carlisle, a young Elton Britt and rare early tracks from Patsy Montana and Tex Ritter. 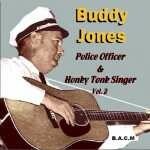 Several songs in the Jimmie Rodgers country blues style. BACM issued its first collection from Panachord back in 2002 (BACM CD30) and 15 years later are delighted to issue this second collection. Another treasure trove of early 1930s hillbilly, some of the artistes well known like The Carlisle Brothers, W. Lee O’Daniel & His Light Crust Doughboys and harmony group the Beverly Hillbillies – others obscure. 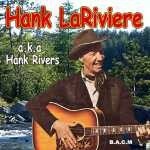 24 tracks from this authentic yodeling cowboy, Canada's answer to Jimmie Rodgers here with a collection of 30s/40s songs all written by him.